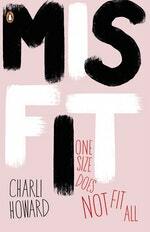 When Charli, though medically underweight, was fired by her modelling agency for being too big, she decided she'd had enough. She used her platform for good and spoke out about the insane standards of the modelling industry, whose images influence young women and girls all over the world. 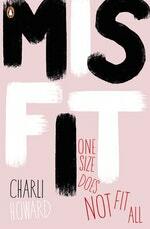 Now, Charli is comfortable in her skin for the first time ever, working happily as a plus sized model in New York. Here, she shares her journey, from anorexic and bulimic teenager to happy, healthy twenty-something. From the ages of four to six, I thought I was a dog. A German Shepherd, to be precise, though I could also be a Dalmatian, depending on my mood. The dogs I grew up with were spoiled and loved, and played around all day, so that’s what I decided I wanted to become. I’d put my hands up to my chest and pretend they were paws, then walk on my tiptoes to mimic the way dogs’ feet arch up. I’d squint at things in the distance, the way dogs do when they spot something they’re curious about, and growl under my breath at strangers. In fact, I squinted so much that my nursery sent me to an eye specialist because they thought I was going blind. I was obsessed with becoming a dog, barking at strangers in the street in the hope they’d mistake me for a real one. To prove how passionate I was about my alter ego, I spent one Christmas writing countless letters to Father Christmas begging for a metal dog cage I’d seen in the Argos catalogue. I wanted a big one, with room for a few pillows so it was comfy to sleep in, and space to allow me to grow. Funnily enough, I was disappointed on Christmas morning. Like many parents, mine thought this was just a phase, until my school genuinely became concerned and wanted me tested for autism. That’s when the ‘Why can’t you just be normal?’ questions began. Love Misfit? Subscribe to Read More to find out about similar books.